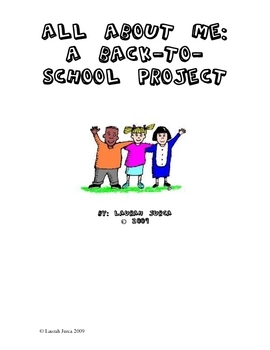 A great way to start out the school year is to get to know the students you will be teaching. 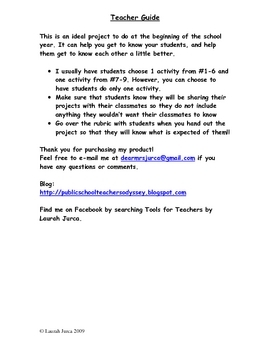 This project offers students 9 options to share information about themselves with you and their classmates. 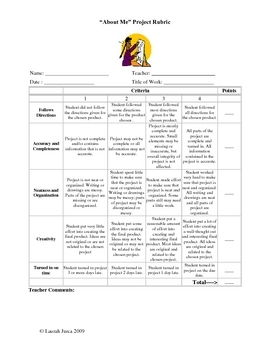 Includes a project rubric! 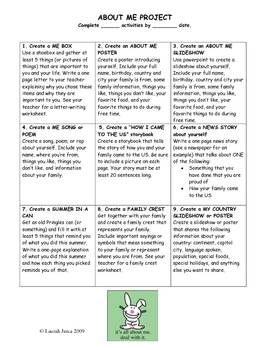 This can be done as an in-class project at the beginning of school or as a take-home project at any time.